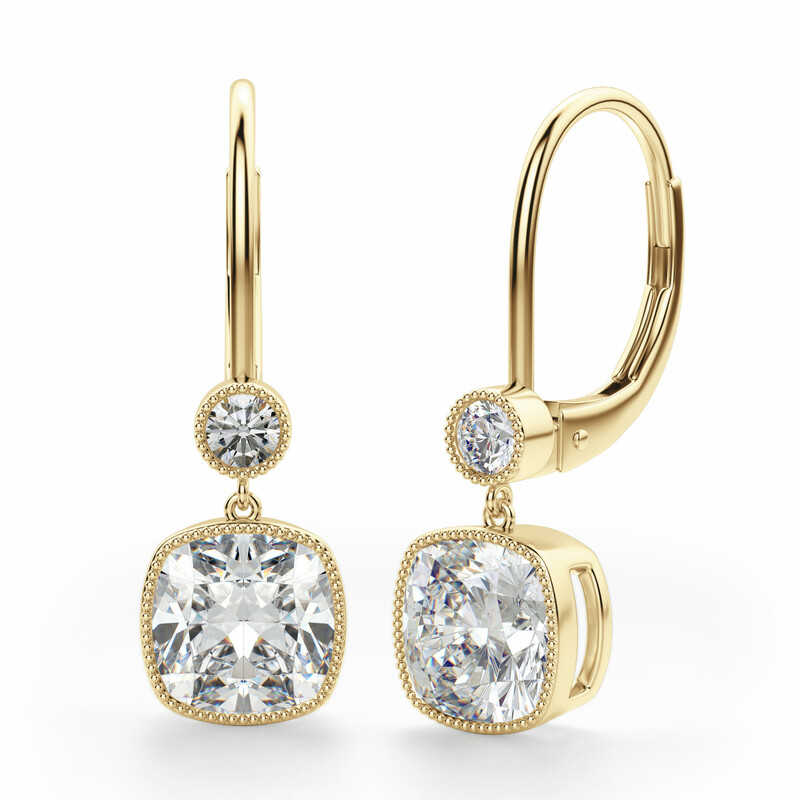 Asteria Cushion Cut Leverback Earrings was added to your cart. Meet your new go-to earrings! Whether formal or casual, this resplendent piece lend a sense of classic luxury and elegance to any setting. A sparkling .11 carat Round Brilliant and a magnificent 2.04 carat Cushion cut Nexus Diamond alternative illuminates each earring for a total weight of 4.30 carats, set in 14k gold with millgraine detailing. I have 2 piercings per ear. I wear natural 2 carat studs in the top hole of each ear and I love wearing these below. They are gorgeous. I wear them everyday if I am not wearing my Diamond Nexus Diamond Hoops. Purchased the earrings as a little surprise gift for the wife. She absolutely loves the earrings. The setting in person look much nicer as do the stones. When she is outside walking in the sun the motion of the earrings with the sun hitting them is just beautiful. We went shopping today and it was amazing how many ladies turned to look at her earrings. When I received my earings I was very pleased with them. 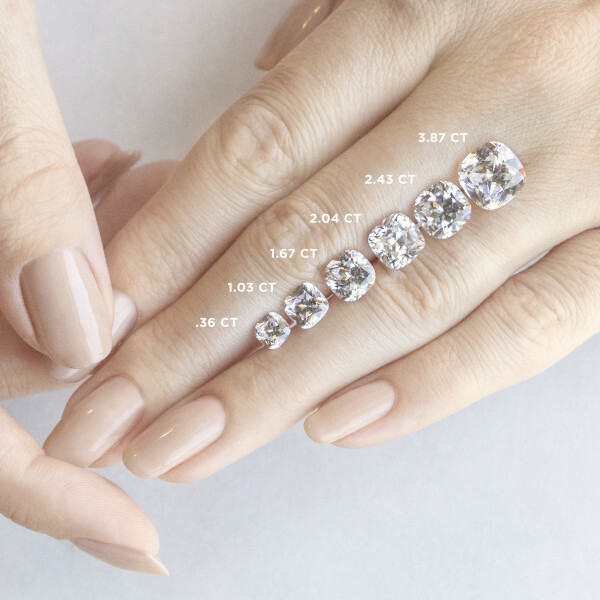 I wasn't sure if 2ct was going to be too big, but its not. I prefer a slight dangle to a stud earing and this fits the bill. I bought these for my wife who was wanting some earrings that had some "pop." I read the other reviews and decided to give these a shot. 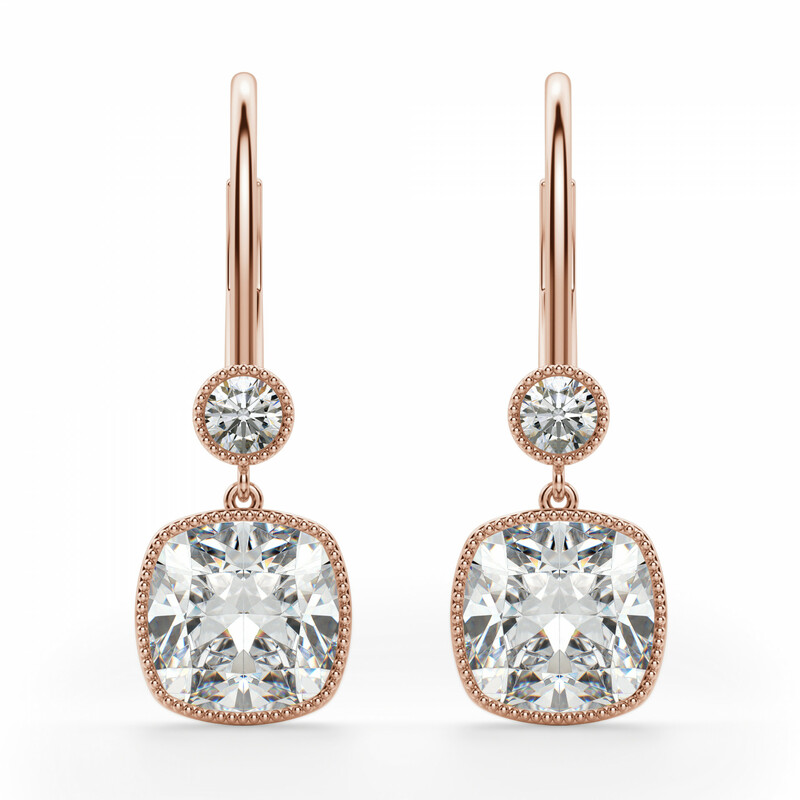 They sparkle like natural stones. My wife receives compliments everywhere we go. They are amazing, simply dazzling. NOBODY HAS ASKED ME YET IF THEY'RE REAL OR NOT! SO I REALLY CAN'T WRITE A REVIEW YET....... MAYBE SOON! I am a flashy girl and these earrings even for me are a force to be reckoned with! What a blaze of sparkle and a enormously bold but foxy rocks! 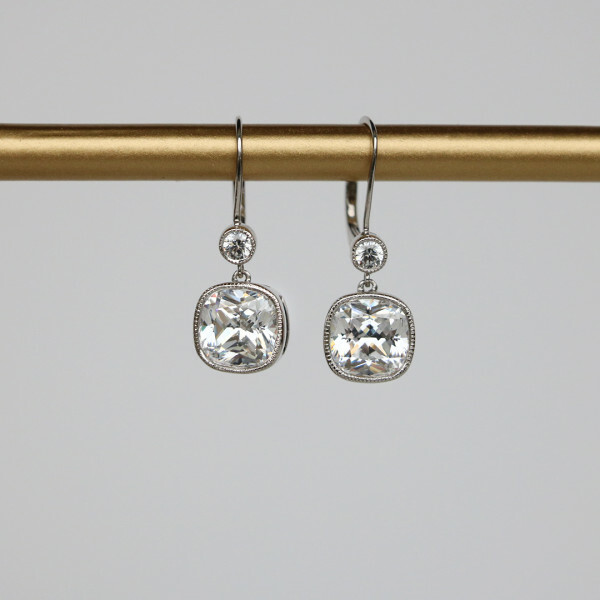 These earrings say this is a girl who knows exactly what she wants! They are gorgeous and totally worh it! 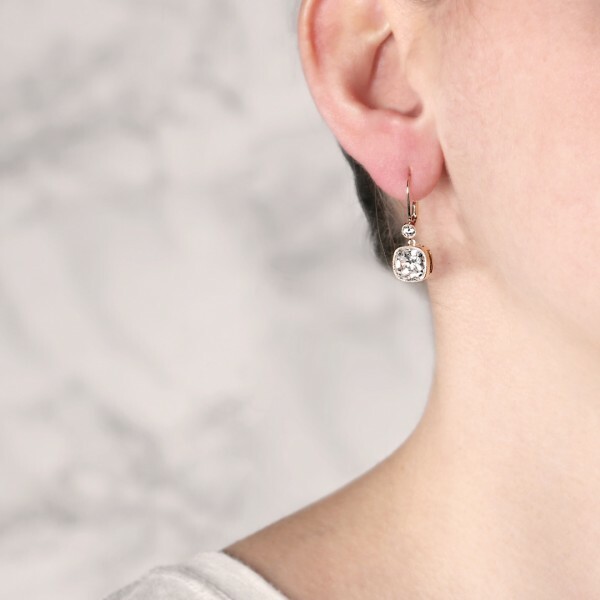 These earrings are perfect with everything, totally dresses up some jeans or that extra kick when you're going out on the town and with the lever backs I won't be losing these bad boys! This was not my first purchase from Diamond Nexus although I think these might be my favorite so far! I was a little concerned they would be too large but I quickly found them to be the perfect size. They make a big statement and do not feel heavy on the ears at all. They are comfortable to wear and secure with their lever backs. These are fabulous to pair with a simple chain necklace and a classic up-do so they can be the stars of the show! Classic and awesome in their simplicity, they can be wore with just about anything, including jeans! A great way to add some bling to your every day! I didn't think of myself as a classic diamond girl until I saw these earrings and fell in love with them. I love that I could buy something beautiful without any ethical concerns. I am planning to wear them to my upcoming wedding!